Prior to placement, you must obtain a National Police Certificate (NPC), which is issued by the Australian Federal Police (AFP). To commence your application, please visit the Australian Federal Police National Police Checks website. Start your online application now. When you receive your certificate, please provide a copy to the Professional Experience Placement Unit. Generally, Tuberculin Skin Testing in is required if the student is born in a country with a high incidence of TB or has resided for a cumulative time of 3 months or longer in a country with a High Incidence of TB. If you identify as an at-risk student please ensure that you make this appointment as soon as you can and that you take the Queensland Health Student TB Assessment & Screening form with you. You must have a Mantoux Test at a TB Control Unit as many health services (e.g. NSW Health) will not accept a Mantoux Test from a private pathology service. Students are encouraged to visit the QLD Health Clinical Placement webpage to access more information on placements in QLD Health facilities. The Hand Hygiene Australia Online Learning Package was developed as a simple tool to test an individual’s knowledge of hand hygiene in healthcare. You will be required to register on your first visit to the HHA training website. 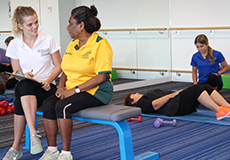 Please register as a student and select the Student Health Practitioners Module (e.g all students) training package. The module should take approximately 15-30 minutes to complete. After completing the learning package and correctly answering all of the quiz questions a completion certificate will be emailed to you. Please provide a copy of the certificate to the Professional Experience Placement Unit. You should retain a copy of the certificate in your professional portfolio to take with you to your professional experience placement. 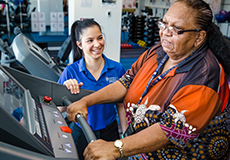 To undertake a clinical observation or placement at the JCU Clinical Practice Building, you must complete additional requirements and a compulsory questionnaire. Visit the JCU College of Healthcare Sciences website for forms and links.